When I was studying English in the 1980s, Graham Greene, still alive at that time, was - I think - unfashionable. His books of the 1960s included "entertainments" like "Travels with my aunt" and "Our Man in Havana", whilst his more recent novels, thrillers such as "The Human Factor" were still successful, but perhaps not seen as that relevant. Born in 1905, his golden run probably went from "Brighton Rock" in 1938 to "The Quiet American" in 1955. Its taken me a while to get to Greene as a result, though I read both "The End of the Affair" and his autobiography "A Sort of Life" a few years ago with great pleasure. "The Power and the Glory" was published in 1940 and is, according to John Updike in the introduction of the edition I have, his masterpiece. Visiting Mexico in the 1930s to document religious persecution - the Catholic church had been effectively outlawed since the 1917 constitution, and under President Calles, the persecution had lead to a civil war - Greene found the material for "The Power and the Glory." The unnamed "whisky priest" has been hiding from the authorities for a number of years, but the net is closing in on him. He still practices his ministry in secret when he can. The poor rural population in the territories where he practiced, protect him as far as they can, the mystique of the Priest continuing after the churches have been abandoned. The two priests who we meet in the novel have taken different paths. Padre Jose has given up his ministry and married, is therefore allowed to live. The whisky priest, a dissolute, who loves brandy, and has a child following a short sexual relationship with a peasant woman, should have done the same, but however bad a priest he is, he cannot give up the only thing that gives his life meaning. We meet him at the beginning of the novel as an English-speaking dentist bumps into him. The priest has decided to take leave on a ship, but there are still a few hours till it goes. He comes back to the dentist, who is visited by a boy who wants some help for his mother. The priest, though he knows he won't be able to do anything much, is drawn to help her. He misses the boat, and so evades being captured again. Moving from town to town, being able to survive through hiding in barns or other places, he is heading to the border with dreams of turning up in a town where religion can still be practiced. There has been a clampdown from the police authorities, and capturing the whisky priest becomes a political imperative. Any village where he has been sheltered will have a man from the village imprisoned and killed. Yet the authorities don't know what he looks like, so they are relying on informers. At the same time a man who is a bank robber and fugitive is also on the run. The two men's lives will finally become intertwined, but the fear of an armed robber creates a sense of paranoia. We follow the whisky priest as he slips from place to place - never quite sure who to trust. The priest turns up in the barn of a plantation owner, in the village where his daughter was born, and even the town where the authorities are looking for, being stopped and jailed for being drunk, without them knowing who he is. As his options get less and less, the book sees him ruminate on his faith, his dissolution and the meaning of God in the world. Priests are partly detested for the opulent life they used to lead, charging for mass and baptisms, as the only interlocutors of the Bible for the poor and illiterate. Yet we are not overwhelmed by the politics of the matter, rather we are on a journey with this most unpromising of figures, as he gets close to safety (but not redemption) and capture (and still no redemption, as despite being allowed to do so, Padre Jose refuses to take his confession.) If I'm reminded of another novel its Cormac McCarthy's "The Road" another book which sees the morality of a single (good) man in desolate times, and tests it and tests it again. The same earthy religiosity - a primal thing - that we find in "The Road" has its corollary over half a century before in Greene's "The Power and the Glory." It seems that left to write a story that is so adrift from normal society, Greene's wonderful prose comes into his own. The world is a desperate one (this was published in 1940) and like that contemporary William Golding, we wonder whether redemption is actually something that we actually want - or whether that is what we most fear. A rumination on good and evil, but also on the choices that we make, that even a bad man, a flawed man might make, this is phenomenal story of religious doubt that gives us such a powerful central character, that we are not meant to like or relate to, but in doing so provides us with some kind of questionable template for life. There is no redemption, for man is corrupt - even the love of his daughter is a corruption; and the services that he provides for the peasantry are cynical transactions - they want to "pay" for them else they won't value them, but they still beat him down on price. There is no love for the church or the priest or the desolate country they are living in, but there is a fear for the alternative - the idea of heaven and hell, of redemption and confession is harder to shake off than the paraphernalia of the church. Like Updike, I think the book's a masterpiece. It's always instructive reading an early work by one of the great writers. To what extent are the themes and skills of the later work already present in the debut? Is there a moment when the writer moves from the conventions of the day (which may have helped the path to publication) and does something different? In the case of E.M. Forster its a particular interesting question. Undoubtedly one of the best and most loved British novelists of the 20th Century, his three key books, "A Room with a View", "Passage to India" and "Howard's End" are masterpieces, whilst the posthumously published "Maurice" was one of the earliest written "gay" novels. His story "The Machine Stops" is much anthologised and only this month inspired a new concept album by veteran space rockers Hawkwind. "Where Angels Fear to Tread" was his debut novel, published in 1905. Initially submitted for magazine publication it was instead published as a book. It's a short novel, but fits quite a lot into its small frame. The structure of the book seems designed for serial publication with three "acts" that see the story and characters develop. Set in Italy and England it is a book of contrasting cultures. When the widowed Lilia Herriton visits Italy with her friend Miss (Caroline) Abbott she ends up marrying the feckless son of a village dentist, Gino. What had seemed like a self-improvement trip for the widow and (apparent) spinster, ends up becoming a nightmare for the family of the widow's husband, who send her brother-in-law Philip to Italy to stop the match going ahead. Philip is ostensibly the main character of the novel, but he's a passive figure, a dreamer rather than a do-er. It is he, after all, who recommended they visit Monteriano. On arriving in the Italy he loves and romanticises he's now faced with the reality of the place that goes beyond his trusty Baedeker and his knowledge of the language and music. Confronting both Lilia and Gino he finds that it is too late and that they are already married. The novel's second act sees the mistake of Lilia's union, for in Italy women are not expected to walk about on their own, and being unable to translate the rigid class mores of English society to the more fluid Italy, she becomes increasingly isolated in their unsuitable house. When she becomes pregnant with his child, the tragedy continues, for she doesn't survive the birth. The boy becomes a matter of material interest to the Herritons, and Philip is once again despatched, this time to bring back the baby. He has been preceded by Miss Abbott, who is drawn inexplicably back to Italy, and his prim sister Harriet has also gone back to Monteriano. This time he has a "blank cheque" to get Gino to release the child. The novel is one of contrasting cultures. A stifled middle class England where appearance is everything, and a poor, chaotic Italy that hums with life. This is the "Grand Tour" translated into something more vivid - when people's emotions become involved. Philip is like that other cold fish, Henry James' Strether in "The Ambassadors", despatched to a different culture to "do what is right" but slowly beginning to question what that might be. As he arrives in Monteriano, rather than immediately confront Gino, he goes to the local Opera house. Here in the book's most vivid scene, the poor but vibrant performance becomes a grand exemplar of Italian life at its most vibrant. Here is the Italy he had romanticised. In the aftermath he goes drinking with Gino and his friends and proclaims a good fellow and friend. We find out the next day, as Miss Abbott goes against Philip's plans and visits Gino, that he loves his son though hardly knowing how to look after him - and this has led Gino to get engaged to another woman to be a replacement mother. Both Miss Abbott and Philip are drawn to Italy, initally repelled by the emotions it stirs in their placid sensibilities. Finding Miss Abbott praying in a Catholic church he begins to fall in love with her, but despite a couple of moments of connection and near intimacy, he can't overcome his years of conditioning. The novel has a tragic end - but the tragedy is multiple. As Harriet steals the child, Philip having failed (he articulates his dilemma as to be giving the child a better life but with people who don't love the child, or leaving to an awful life with a father who loves him, and he can't make that choice), tragedy piles on tragedy. An accident sees the child thrown from their carriage. Returning to tell Gino, the Italian lashes out and attacks Philip, a sign of passion that the latter finds himself responding to, too late. He realises he has made the wrong decisions all along - he has awakened in himself a passion for Miss Abbott, which can't be articulated once she lets him know that Gino has been her object of desire all along. The inhibited Harriet, having been uncharmed by Italy, goes mad and the whole sorry crew return to a lifetime of being unfulfilled back home in England. In his most famous line, Forster talked about if we could "only connect the prose and the passion", and five years before he wrote the exemplary "Howard's End", here he is touching on the same subject. As in his later books, his lead characters are passive, decorous who become animated or changed by the circumstance that comes their way, whether the Italy, India, politics or music. Yet these themes, in this debut, are hinted at in a plot that is pure melodrama. The novel feels stilted at the start, a drawing room story, with little sense of the modern about it. His writing only occasionally rises above the demands of the story - though when it does its a blinding light - and the novel's mix of tragedy with comedy is an uneasy one. Perhaps its greatest problem, is that though it has a perfect structure in terms of telling the story, Philip's arc is such a curious one. Perhaps his initial readers would have been all too at home with the monied man of little ambition, with the importance of "appearances" above all else, but to a modern reader, the drawing of the curtains over this late Victorian melodrama seem a little stilted. Like Edith Wharton's "The House of Mirth", published the same year, its a book that meddles with themes that would be fully worked out later on (in "Howard's End" and "A Room with a View" for him, in "Age of Innocence" for her) in books that would go far beyond the genre conventions of the day. The edition I read has an introduction which says the book is the essayist's favourite of Forster's which seems to be protesting a little too much for its merits. Yet there is much pleasure to be had in reading this young man's novel. Forster has talked about its genesis. He went on a similar trip with his mother that turned out to be inconvenient, uncomfortable and beastly, yet something of Italy's "passion" managed to survive even the discomforts of the journey. He overheard a story of an English woman marrying an Italian man and it piqued his interest. His Italy is a second hand one, and he wondered about it's veracity, and if Gino and his housekeeper and friends seems grotesques in some ways, the genius of Forster's imagination makes even the scenes that he had to imagine come to life. 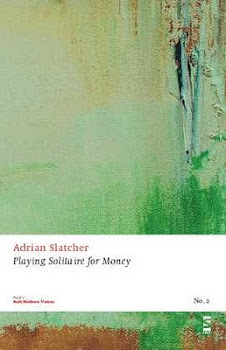 "Fool's rush in where angel's fear to tread" - like "Only Connect" its good to remember the rest of the phrase - and it seems an appropriate if overly literary title for this debut. Amongst the various topics I've strayed onto on this blog, I'm not sure I've ever written about football. But I can't not do at the moment. My team, Aston Villa, are about to be relegated from the Premier League, after a catastrophic season, where they have won only 3 of 33 league games all season; are 9 points adrift; and have just lost their 8th game in a row. Football is all about winning and losing, and the football league is a brilliant invention that still perplexes Americans, for instance, who don't quite get that there should be no divine right to be a member of the elite. Of course, few sports are like football, with its "pyramid" of teams, and long institutional history. Villa are part of that long institutional history, one of the 12 teams in that first ever football league, when there was just a single division. As teams formed around the country - extending the sport's popularity from the north and the Midlands - so did the league expand, eventually to four divisions featuring 92 teams. Nowhere else in football has that pyramid been so effective. Wigan Athletic and Wimbledon, both top flight teams at some point, both came from the non-league; though its interesting that since there has been automatic promotion and relegation from the league to the non-league (surely a contradictory term?) no team has quite risen through the pyramid. But it may one day happen. So, in Kipling's words, triumph and disaster are never that far apart when you follow a football club. I was frankly surprised when I realised that Villa's last relegation was as long ago as the eighties. Surely for such a big club, with a venerable history, next season will see us bounce straight back? Not so quick. The Premier League has been dominated by four clubs, Manchester United, Arsenal, Chelsea and Manchester City, the latter two funded by billionaires - they wouldn't have been listed in any "big six" back in the mid-nineties even, despite their own long histories. This season, either Leicester (who have never won the league) or Tottenham Hotspur (who last won it in 1961), are going to break that hegemony, joining Blackburn Rovers as the only other Premier League winner. Blackburn, like Leeds, Derby, Nottingham Forest and now Villa, are a league winner who have left the top flight with no immediate sense they will return. When I was born Villa were a club in the doldrums. They were briefly in the third division. In those days, it seems there was rarely big money changing things, rather, clubs were reliant on a clutch of players, either locally born and bred, or brought together through good management and coaching. Once at a club, players often stayed there. Before television money transformed the landscape, where you were in the league structure hardly mattered - the fans would come anyway - a cup run would allow you to dream, and occasionally your club would fall or rise. So when I was seven and started supporting Villa, we were the Midlands underdogs, in the old second division, and the year I started following Villa was the year we got promoted. WBA, Wolves, even Coventry and Birmingham were more popular clubs amongst my peer group. (Our nearest team, Walsall, was the kind of well run, but small town team that has always existed in the shadow of bigger clubs.). The late seventies were great - we won the league cup, then, remarkably, the league, and even more remarkably the European Cup. Ron Saunders was our genius manager, and nobody really knew or cared about who ran or owned the club. That 1981 Villa team was very like the Leicester team of this season. Unfancied, with a core group of players who played every game, and had the season of their life. That year, it was Bobby Robson's Ipswich who were heralded as the new heroes, and the two unfancied teams jostled it out at the top, in a rare off-season for Liverpool. Villa spluttered over the finishing line, whereas Leicester, remarkably, seem to be keeping ahead of Spurs. But at the bottom of the league, who cares about championships, except to remember we once had one - in my living memory. We had a couple of good seasons in the 90s, but things had fallen off by the time Doug Ellis sold the club to the American Randy Lerner. Luckily he'd also appointed Martin O'Neill as manager, who had to put together an entire team from scratch and we just missed out on Champions League football three seasons in a row. Since then there's been something rotten in the state of Villa. A succession of badly chosen and inept managers; transfer fees from players sold being wasted; good players (such as Marc Albrighton - now with Leicester) seen as surpluse to requirements; and a quality of football that can only be seen as abysmal. Even as late as last season we had an F.A. Cup final, albeit one where we were exposed by an imperious Arsenal, but the previous game, in a semi against Liverpool, we were as good as we've been in years. There's a whole team of Villa alumni playing for other top clubs - Barry, Milner, Cahill, Crouch, Albrighton, Benteke, Delph, Young - and its been a shame that in the modern game we've not been able to keep our best players. This season, if this had been a boxing match, Villa would have been put out of our misery months ago, but we still have to limp through 38 games. I've never been a regular at the ground, having lived away so long, so can only feel sorry for those fans who go every week. Unlike other clubs Villa tend to stay loyal to the managers, and players, partly because of how low our expectations are - but partly I think, because of a respect for the history of the institution. However badly we've been treated by poor ownership, useless management, and underwhelming players, it is that long history that matters. Next season, in a lower league, and with a clean out of senior management already having taken place, a new Villa could rise... our history demands it, but, of course, we have been here before. Few of us think we'll just bounce back into the top flight - but hoping that we're not going to be forever isolated, like Forest and Leeds, from our golden years. I was in Eindhoven for the third time this week. Last time there was a palpable excitement, bunting on the streets, as PSV Eindhoven were about due to win the Dutch league for the first time in years. The "P" in PSV is for Philips. This is a town that exists because of its mercantile-industrial past. When Philips rocked up there, it was a tiny place, but grew as the Dutch company became one of the world's leaders for electronics. All those companies and industries that dominate are impermanent, developed through innovation, technology and consumer need. 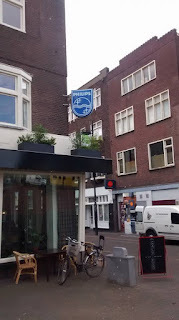 I took the photo of the coffee shop above because it has the old Philips "badge" no longer on an industrial building, but as an adornment to a cafe. For Eindhoven is still a prosperous town, but the manufacturing takes place elsewhere, as it does for most electronics companies, and Philips makes its money from R&D and its vast patent store. Its much less of a consumer brand nowadays, though I'm still using a Philips CD player I bought years ago. Like Nokia in Finland, a big company in a small country can sometimes seem to be over-important; and as their business changes the jobs change as well - so ex-Philips employees create start-ups, work for innovation companies, deliver services. Our UK industrial heritage sometimes seems to have gone straight from raw materials - like coal and steel - to services, without the intermediate "making" of things. A late friend worked for the steel industry in the eighties and nineties until he was laid off. As an ex-steel worker the dole left him to his own devices; there was a view these were low skilled jobs that couldn't be replicated. But as China opened up its economy in the early 2000s, demand for steel rose and he went back to work in his old job. Of course, China was already involved in over production, but its only now the fallout of that is coming back to haunt the over-leveraged British steel industry. Its absurd in a world where we are worried about climate change, economic growth and resource security that we haven't got any sort of industrial policy - but that's Tory governments' laissez-faire attitude for you. If there wasn't the backdrop of the European referendum (more later), we might have some common sense on this matter, but for now, don't expect any. I was over in Eindhoven for a brief break, to see friends, to go to a conference - all good. But after also being to Nottingham and London (twice) in the last two weeks, I'm glad of a weekend back in Manchester - and geting back into some creative projects. Somehow during this period, I managed to complete a new album under my Bonbon Experiment name. You can download or stream the 9 track "Vulcanicity!" here for free. In my previous post about songwriting, the song I mentioned in the introduction ended up different than I expected, as "Threshold Horizon." Like I said there, most of the tracks came music first - though I had the titles "Canal Pusher" (a Manc urban myth that was too good a title to waste), "The Girl with the Caramel Eyes" and "Standing Water", just not much else. It's been invigorating to make some music again - especially recording a whole album in about six weeks. I've always been better at doing things faster. Intrigued to see that rapper, poet, performer, playwright Kate Tempest is now a novelist. The review in the Observer indicates that she's gone back to the story that forms her debut CD, so maybe the desire to "colour in" the outline of a story that means a lot to you is a strong one. Its not that unusual to revisit the same or similar material in different format of course, and that means both "brand" and subject will no doubt appeal to her existing audience. Poets writing novels don't always make the crossover, so it will be interesting to see how this most popular of performers has done. Being away means I've missed quite a few things going on. There's always lots of literary activity in Manchester of course, but also elsewhere. My friend Melissa Lee-Houghton has an essay in the new Poetry Wales, an issue focused on "desire", which I'm looking forward to. We went to see Katherine Angel read at Castlefield Gallery last year, and it got us talking about the subject, and wondering about how writers approach it. Both of us will be reading at "Reading the Other" a new collaborative event where writers read each other's work. It will be at Sand Bar, on Grosvenor Street on Saturday 16th April. Will update with the details when I have them.